CLOSED - Participation at MAX capacity! - While trying to stay positive and cheer leading on for the hopeful Oscar nomination for Michael Fassbender’s performance in ‘Shame’, I did have way in the back of my mind, the question, ‘What if he’s not nominated, what then’? About a week before the Jan. 24th announcement, I devised Plan B in the event of a snub, alas, that sadly came to fruition. However, in always trying to see the positive from a negative thing, I wanted to do something for us fans, and FOR Michael Fassbender, and the goal is to have it completed for his birthday, April 2nd. Plan B will be a fun private project for a handful of serious and devoted fans of Michael who want to participate. As Michael’s birthday approaches, I will make public what this little project is, but for now, I would like to keep it under wraps. How do you participate in Plan B? Please read carefully. 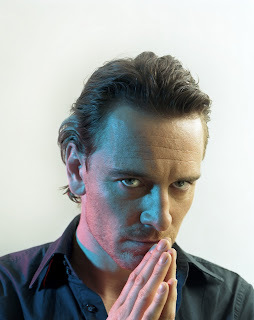 Firstly the project is open to the regular commenters here at Fassinating Fassbender: those who use a registered blogger username or post comments using one name regularly. I kindly request this because all participants will be on a first name basis as this project is unveiled and we will join in on group email discussions. Through many of your posts over time, you all have respected and supported each other and there is a nice community established here. If you are a private person, this project is not for you as this is an all hands-on-deck, and informal group project. This project will require you to be a part of a group of people who will each make one small monetary contribution towards the purchase of the gift in question. It's not my intention to deliberately exclude a lot of people who may be interested, but due to the intimate nature of private correspondence and information sharing this project entails, the persons who have demonstrated their support for this blog and Michael, are invited to consider participating. As pleased as I am to know that there are hundreds upon hundreds of lurkers, and the cool people who do post anonymously, the fact is that I do not know you like how I know the regular posters who have shown a vested interest in Fassinating Fassbender, by personalizing their contributions here. If five people are interested, the cost will be divided evenly between the five of us; ten people, it’ll be divided evenly between the ten of us. The more the merrier! You will also need to mail to me a 3x5 handwritten notecard to be included along with the gift. This will be a thank you/birthday gift to Michael! You will be a part of making a key decision on the style of the object and the creative frills attached to it. So again, if you do not want to have email exchanges between other people you really don’t know, or make a donation, or snail mail to me a personal message to Michael, it’s ok, take a pass on this project. To learn more about Plan B, please email me with the subject: Plan B, I'm in! to simonetvc@gmail.com, and by emailing me, you will be using an email address that will clearly identify you by your name or your regular commenter name. Once I gather all the participants, the group of Plan B will receive further information about the project to proceed on. Please inquire only if you are comfortable with participating in this Michael Fassbender fan birthday gift project that will ask you to contribute funds via PayPal that won’t exceed $20 US – the more people, the less money needed. Through this project, we will learn more about each other, our names, and where we are located in the US/world. I gave a heads up to Troika yesterday, and I got a smile back, so we’re good to go! I'm kind of new here, but i've been following you in twitter since a week maybe and I really really want to participate.Can I ? I'll read your post more carefully tonight (i'm from France so maybe we don't have the "same" tonight). Send me an email Alyssa. Thanks! Thank you for Plan B! yeah totally in Simone. Thanks for the opportunity! great idea Simone! i ll chech what i can do. I so heartedly agree here that he is OUR best actor, 2011??? nope not for me I've been following this guy since 1999 and I'm not going to stop. I may not be able to get around all that much but I surely do care about this gent. Have a wonderful day and I've already e-mailed you Simone. Merci for Plan B!!! Omg!that's great! Of course I want to participate. But i dont know if a can, doesn't matter that I'm in Mexico ? I have been lurking here for a couple weeks now. I've never commented because I'm on Twitter and Tumblr more, but I'm definitely interested in the project if you'll have me. I had no idea that interest in this project would be as great as it is. I have to close it now as it is at full participation. I'm sorry if you missed out, I gave a two day alert and those who were most anxious expressed their interest immediately.